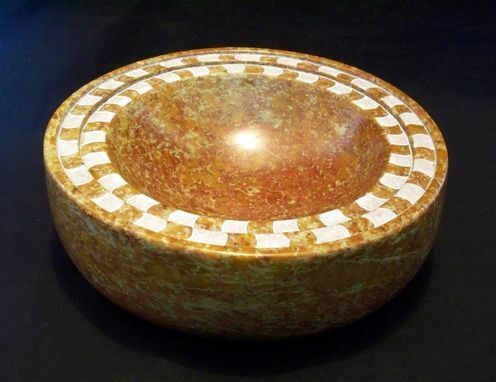 This decorative bowl was handcarved from pyrophyllite (also known as wonderstone). The pattern around the rim was achieved by adding a rougher texture (the white parts). Sold to a private collection.